Julie Green first sought to understand life through the sciences, receiving degrees in Biology, Anatomy, Neurobiology, and Nutrition. Over 15 years ago, her life’s path led her to a healing practice of yoga and self-inquiry. Along the journey, Julie found Kundalini Yoga to be a complete system: powerful, profound, healing, transformative, and rooted in direct experience. A strong influence in her teaching is the heart-centered wisdom of her Master teacher Sri Mooji, along with years of insight as an initiate of Babaji’s Kriya Yoga. The extensive direct experience of the teachings from awakened Masters is the foundation of her guidance. 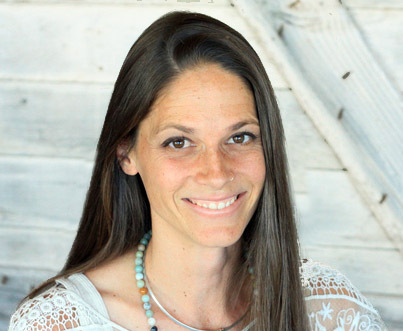 Julie leads playful, heartfelt, powerful, expansive classes that hold space for you to rebalance, restore, release what no longer serves you, come into your heart, and remember your True Nature.